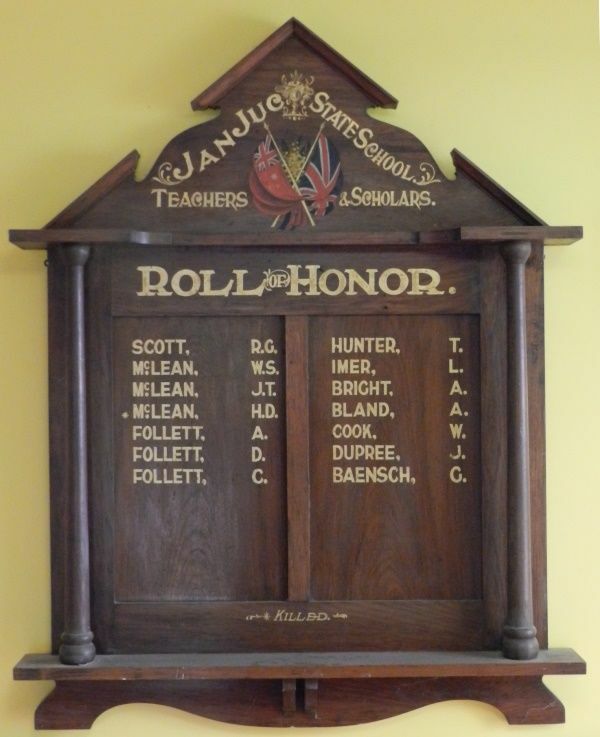 A wooden honour roll commemorates teachers and students who served in World War One. Mr. J. H. Lister, M.H.R. last night unveiled an honor roll at the Jan Juc State School of those who have gone from the school for active service. There are 14 names on the roll and one has paid the supreme sacrifice. Geelong Advertiser (Vic. ), 10 December 1919.